With every new model launched or redesigned, comes another photos comparison. The topic of the week revolves around the 2011 BMW 3 Series Coupe and Convertible LCI that was unveiled yesterday and which will go on sales this Spring. Judging by the photos and information released, the general consensus is that BMW is looking to align some of its models to the current design language, and features like “angel eyes” are starting to become standard across the line-up. LED taillights are also becoming the norm at BMW and the new 3 Series LCI comes to emphasize that. Together with our Senior Editor Andrew, we outlined some of the changes below, both visually and in writing. 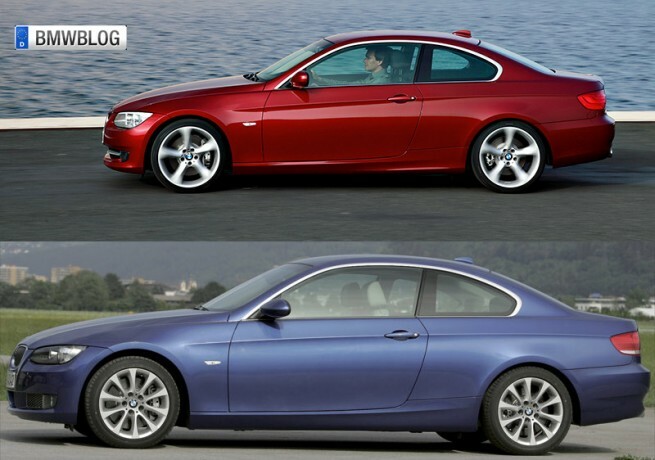 Regarding the exterior of the car – BMW, like they did with the pre-LCI E92, have managed to make the E92 continue to look much more expensive than it actually is. The facelifted E92 continues to give a strong balance between prestige and performance purely in appearance alone. Additionally, at front and rear, while the revisions appear minimal, the proof is in the details. At the business end of the 3 Series Coupe, the head lamps have grown slightly with added contours to the bottom line of the head lamp assembly. A thin “eyebrow” can now be found running along the top of each assembly which is lit by LEDs – a design cue taken straight from the E90 LCI, F01 7 Series and F10 5 Series. Dropping just below the head lamps, the lower bumper is the most heavily modified part of the E92 LCI, losing the struts that flowed with the cut lines of the nose of the car. In its place, BMW have added a slim cut straight across the center of the lower grill, only being broken up by the area just below the larger, wider double kidney grill. 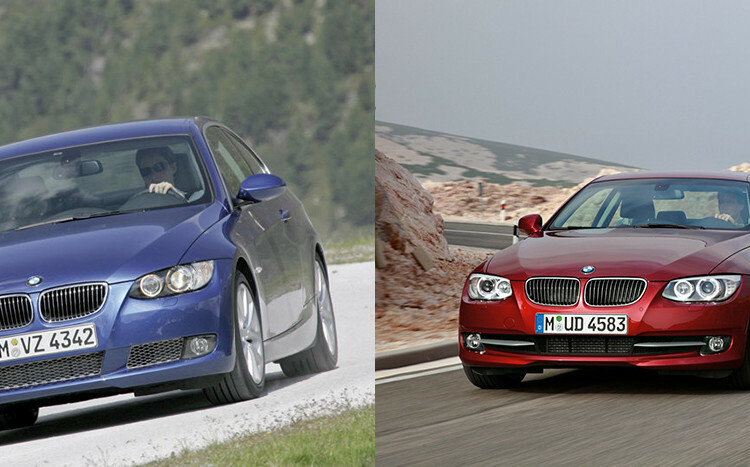 Overall, the appearance of the E92 LCI now looks more succinct with the rest of the now more modern BMW line-up. Moving to the rear of the car, the lower portion of the bumper receives a larger, purposeful crease along the valence just above the exhaust. The L-shaped tail lamps also receive a mild facelift with a more opaque cover to the LEDs when compared to the pre-LCI E92. Additionally, the pattern of the rear lamp LEDs has two stacked sets of LEDs to provide better visibility at night while also providing a distinctly BMW look. By comparison, the LCI E92 now looks much brighter and contoured over its predecessor. The side design goes through some changes as well, the E92 LCI features longer overhangs and subtle changes to the side skirts, giving the facelift an overall more aggressive, masculine look. As we mentioned yesterday, the LCI design effort was led by the talented Juliane Blasi, the exterior designer that revamped the Z4 Roadster.